Video: how the 2018 Christmas tree was harvested, delivered and lighted! With so much exciting construction activity now happening in the city core, the Downtown Business Association of Edmonton couldn’t stage the big Holiday Light-up party that traditionally draws thousands of people to Churchill Square. But that didn’t stop us from helping them light up the holiday season again this year! As dusk fell in the square last Friday, a choir sang carols, hot chocolate was served, and shoppers, families, office workers and downtown dwellers gathered around wood fires near the base of a dark, towering tree. Then the countdown to the light-up began: right on cue, 14,000 lights switched on, and a magnificent tree from the Whitecourt forest became an even lovelier gift to Edmonton. Thanks to Millar Western’s woodlands team for finding the perfect tree and overseeing its safe harvest, delivery and installation. 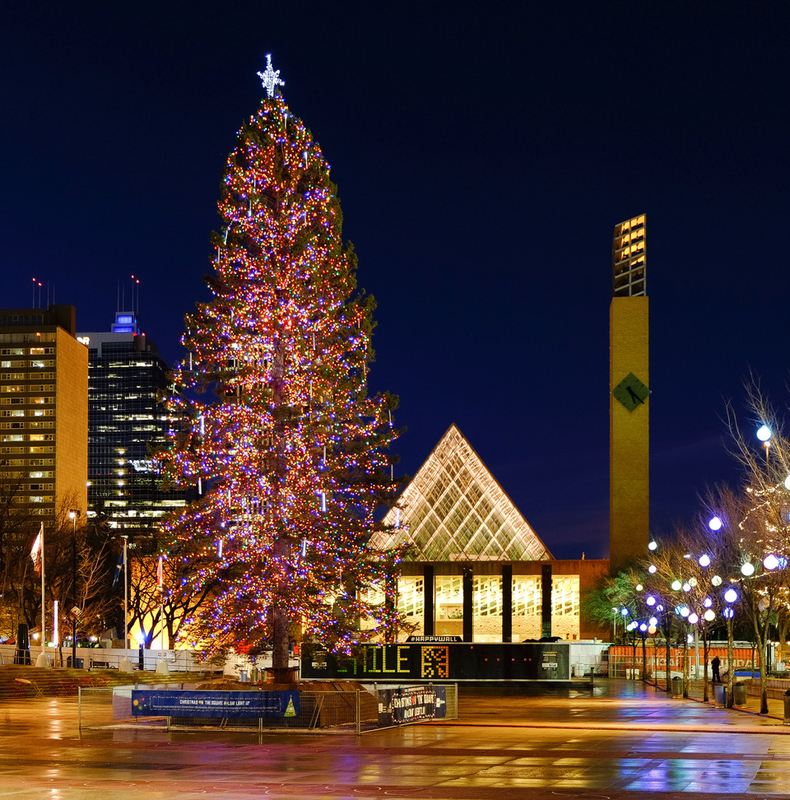 And, kudos to all the partners who help bring the holiday spirit downtown: the City of Edmonton for clearing the way, RPTL Trucking for their skilled hoisting and hauling, EPCOR Canada for decorating and lighting the tree so beautifully, and the DBA for leading the project and making it all happen!